The Nutcracker with Wilmington Ballet this season! Unity Phelan was born in Princeton, New Jersey and began her dance training at the age of five at the Princeton Ballet School, where her teachers included Douglas Martin, Maria Youskevitch, and Mary Barton. During the summers of 2008 and 2009, Ms. Phelan attended the summer sessions at the School of American Ballet, the official school of New York City Ballet, and enrolled as a full-time student in fall of 2009. 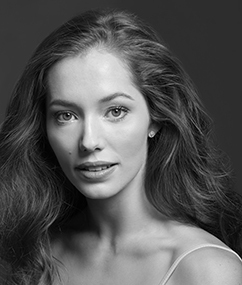 She became an apprentice with NYCB in December 2012 and joined the Company as a member of the corps de ballet in November 2013. She got her "big break" in 2016 originating a principal role in Wheeldon's American Rhapsody. In January 2017, she graced the coveted cover of the January issue of Dance Magazine's 25 to Watch Issue. In February 2017, Ms. Phelan was promoted to soloist. She toured with NYCB this summer to the Vail Dance Festival in Colorado, to Jacob's Pillow in Massachusettes, and to Copenhagen, Denmark. Mr. Janzen was born in Bridgeport, Connecticut, and began his dance training at the age of six at The Rock School in Philadelphia, Pennsylvania. Mr. Janzen attended summer sessions in 2004 and 2005 at the School of American Ballet, the official school of New York City Ballet, and enrolled as a full-time student in the winter of 2005. 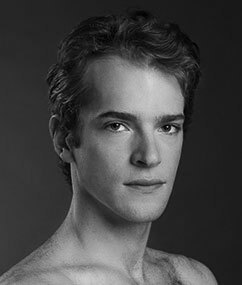 In October 2007, Mr. Janzen became an apprentice with NYCB, and in June 2008, he joined the Company as a member of the corps de ballet. He was promoted to soloist in October 2014 and to principal in February 2017. Mr. Janzen is a recipient of the 2015 Clive Barnes Foundation Award and the 2007 Mae L. Wien Award for Outstanding Promise.